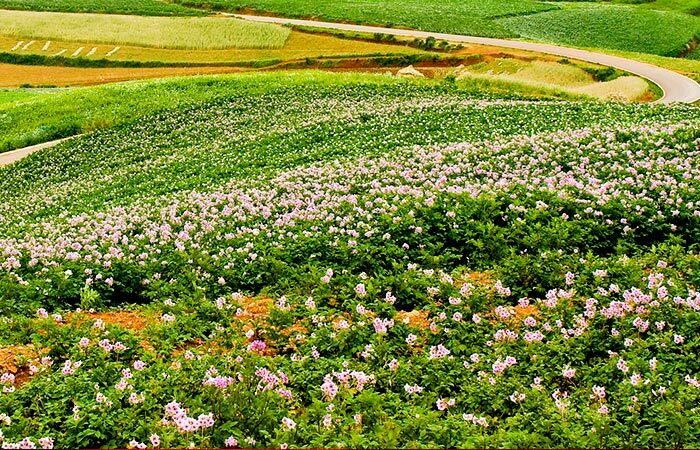 During this 5-day photography tour in Kunming, you will feast your eyes on the fabulous colors of Dongchuan Red Land scenery. It boasts the most beautiful red soil and is a paradise for photography lovers. Also you will pay a visit to Alu Cave, featuring an underground karst cave landscape. This private tour includes transfers with local English speaking guide in air-conditioned coach, plus 4 nights of accommodations are covered. 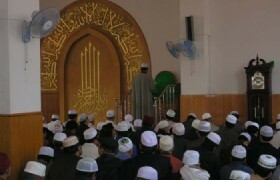 Our guide will meet you at the airport and take you out to have halal dinner at the local restaurant. After you finish your meal, you will enjoy your free time for the rest of the evening. 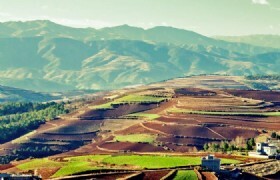 After breakfast, you will be picked up at the lobby and transferred to Dongchuan Red Land. The journey is about 250 kilometers and will take approximately 4 hours. Lunch will be served on the way. Enjoy the picturesque views as you enter the Red Land area. The painting-like scenery of all kinds of red is even more beautiful with the sunset light. 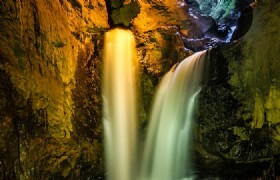 Have your camera ready to capture some of the most unique shots! 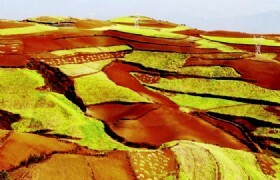 Afterwards you will have your dinner and stay overnight at Dongchuan. 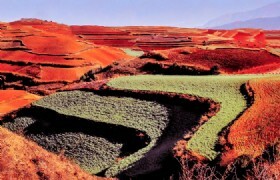 Dongchuan Red Land: this area boasts the most typical and featured red soil in Yunnan highland. Experts regard it as the second marvelous red land in the world following the one in Rio Brazil. People who visit here for the first time will be deeply impressive by the painting-like scenery of deep red, green and orange spread over thousands of hills and mountains. It looks like a colorful picture drawn by nature. Get up early to watch the sunrise over Dongchuan Red Land in the morning. 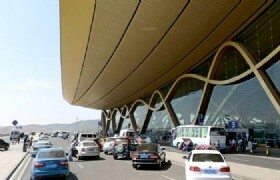 Later you’ll head back to Kunming, with a stopover at the silk museum. 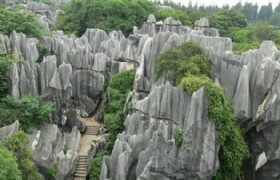 Then continue your way to the Stone Forest Scenic Area (Battery car included). After enjoying the dynamic Yunnan Show in the evening, you will stay overnight at the scenic area. 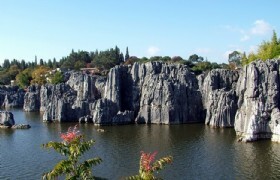 Stone Forest: it is a UNESCO World Heritage site 78 kilometers to the southeast of “Spring City” Kunming, well-known for its typical karst geology and geomorphology characteristic. 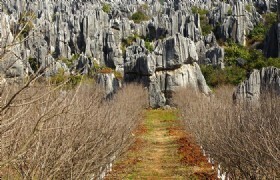 The ground karst scenic spot has a large variety of types, embodying a concentrated reflection of world karst modalities. 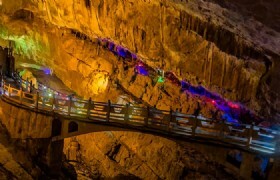 After breakfast, you will proceed to Alu Cave, which is reputed as “the first cave in Yunnan”. 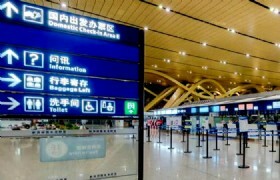 Afterwards you will be taken back to Kunming. Alu Cave: located 5 kilometers west of Luxi County, this ancient limestone cave contains three inner caves: Luyuan Cave, Yuzhu Cave and Biyu Cave. 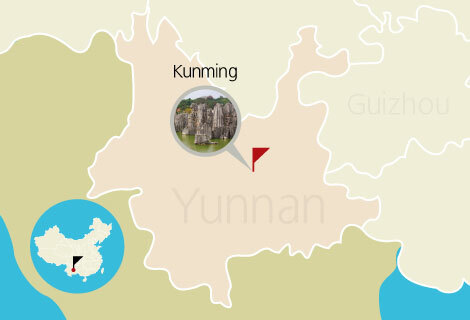 Alu Cave is well known in Yunnan for the impressive karst landscape inside. Near the cave there are another eighteen caves in nine peaks. 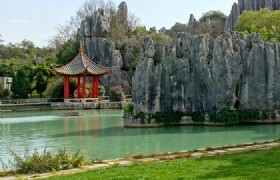 This scenic spot is only 80 kilometers east of the Stone Forest in Kunming. The tour today starts with a visit to the pearl museum. 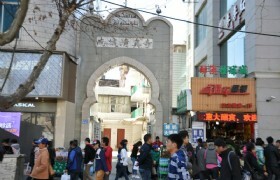 Later you will be taken to Jinma Biji Archway, a historic site and home to two magnificent Chinese arches. Then continue to the West and East Temple Pagodas. 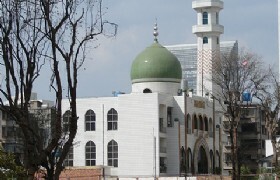 Do some shopping at Nanping Pedestrian Street and pray at Shuncheng Mosque. Wander the Flowers and Birds Market where you can buy plenty of souvenirs. 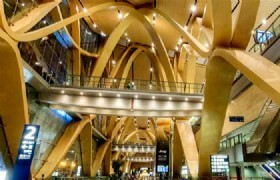 Later we are heading for the airport for your homebound flight, Kunming/Kuala Lumpur. Our tour ends here.